TheStreet is digging out the lessons of econ 101 to see why copper is a good bet for the year. NEW YORK (TheStreet) -- Copper prices may have stalled, but a look at supply versus demand makes the industrial metal increasingly attractive. 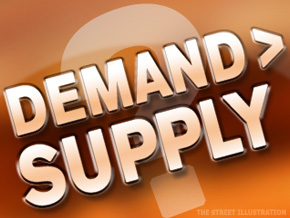 Even though copper is down from its all-time high of $4.62 a pound, analyst reports continue to project that robust demand from China will help boost prices toward the end of 2011. On the supply side, analysts say that copper is in the midst of a worldwide production slump. If you believe in construction and automobile growth in China and Japan, or even a housing rebound in the U.S., then you aren't far off from believing in the strength of the copper market. The base metal is used in wiring, roofing and industrial machinery, and often acts as a bellwether for economic health. George Gero, a metals strategist at RBC Capital, says that on average, one automobile uses about 40 pounds of copper and one house averages about 400 pounds. One automobile uses about 40 pounds of copper and one house averages about 400 pounds. Since copper trends are tied to the fundamentals, the metal tends to be less volatile on a daily basis. "Copper is holding up well even in the midst of a perceived economic slowdown, says, independent trader Eric Zuccarelli. Recent weeks have seen precious metals, crude oil, bonds and currency all fluctuating widely in reaction to even the most marginal developments in Greece. Investors making currency bets have already gotten burned in reversing trends in the euro. Last week, commodities like gold took a pummeling from a broad market selloff as investors ran to the dollar. Fiscal fears in Greece were fading, but new speculation of a weak Italian banking system spooked Wall Street yet again. While gold sank as much as 2.6% for the week, copper weathered the mixed euro signals much better, finishing up 1.5% last Friday on the Comex. "Once we get past the Greek crisis and the U.S. debt issue, copper will once again see new highs," said Zuccarelli, who's betting that copper will climb to $5 per pound by the end of 2011. Goldman Sachs estimates a 4.7% growth in global copper demand but only a 2.1% growth in global copper production for 2011. Geopolitical uncertainties in countries with mining projects can hold back supply, and mining fields can take years to develop after they are discovered. A June research report from Macquarie estimates that China's copper demand will grow at a clip of 6% and that the copper market is set to strengthen in the next two to three months. Growth in the power sector, which makes up more than 40% of China's end market for copper, will sustain demand in the long term, according to a Goldman Sachs research report. The strongest argument for an imminent increase in the demand side is that China, the world's largest consumer of copper, is on the verge of buying the red metal from abroad once again. Copper inventories on the Shanghai Futures Exchange have dwindled more than 40% since mid-March and are nearing a two-year low, according to Goldman Sachs. China has been consuming from its own warehouse reserves after stocking up on cheap copper over a year ago. China's de-stocking phase is still putting a downward pressure on prices, said Phil Streible, senior market strategist at Lind-Waldock. "I think copper will be at lower levels before we see a turnaround." Streible said. Copper prices, just above $4 per pound today, are about 10% off its high. Some argue that the price is good given that China has not been importing lately. If China begins to buy from the London Metal Exchange again, analysts think that we could see copper prices trend up. As the Chinese government works to curb inflation with tighter lending rules, the story of a possible soft-patch in China has come to the forefront. In the scenario that China's growth falls short of blazing ahead, however, analysts still predict that its demand for commodities will remain on solid-footing. For now, the key signal for when investors will see a sustained turnaround in copper rests heavily on a pickup in China imports. Once that happens, the supply-demand seesaw is expected to be heavily weighted toward the latter end. While it's impossible to pinpoint exactly when a copper rally will kick off, analysts have already published several bullish reports on copper mining companies, whose stock prices stand to benefit directly from upsides in the physical copper market. Copper mining shares are now trading at a 12% discount to net asset value (NAV), according to a research report by RBC Capital. RBC looked at the performance of twelve copper mining companies in total. Companies trading at especially deep discounts include Quadra FNX ( QUX, Inmet ( IMN, Intrepid Mines ( IAU - Get Report), HudBay Minerals ( HBM - Get Report) and Freeport-McMoRan ( FCX - Get Report). Within base metal providers, RBC Capital listed Freeport, Inmet Mining, Rio Tinto ( RIO and Sherritt International ( S - Get Report) as the four best investments. Of those four, Rio Tinto, Inmet and Freeport churn out copper. Inmet Mining is ramping up copper production at its Las Cruces mine by 70% in 2011, according to a CIBC report, which put a $93 per share target on the company. The company currently trades around $65 per share. The same report said that Inmet's shares change hands at a 0.71 price-to-NAV ratio while its peers trade at a higher 0.77 price-to-NAV ratio. 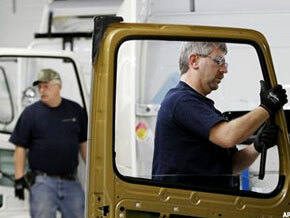 Analyst reports narrowed in on Phoenix, Arizona-based Freeport as a long-term buy. The company is known for its Grasberg mine in Indonesia and holds operations in gold, molybdenum, and oil and gas, in addition to copper. Last year, the company had about 43 billion pounds of copper reserves. "We view Freeport as our best idea in the metals space given our view that copper is near an inflection point, and medium term cash flows are going to be very strong enabling special dividends to shareholders," said a recent Macquarie analyst report, which put a $75 per share one-year price target. 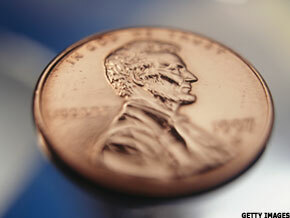 "We see FCX as the biggest beneficiary from a turn in copper fundamentals. A strong balance sheet and a solid free cash flow stream could provide further upside to FCX stock as the company returns more cash in the form of dividends," according a Goldman Sachs report. 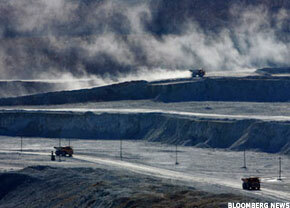 The report estimated that Freeport trades at 8.6 times forward-looking price-to-earnings. Historically, the company has traded at a 15.1 times multiple. Goldman puts a half-year target price of $64. According to ratings by TheStreet, 10 out of 16 analysts put a strong buy rating on Freeport while three analysts gave it a moderate rating. Copper prices are off 11% from their high, according to Macquarie. Freeport's current share price of $49.22 is about 20% off its 2008 high around $62 per share. Freeport's stock bottomed in July of 2010 but rose 100% by the end of the year. The company last declared an extra $0.50 per share dividend in April 2011 on top of its regular quarterly dividend payout of $0.25 per share. Although the fundamentals look strong for the red metal, analysts continue to monitor factors that could affect the demand side of the equation. "Potentially higher interest rates and tightening of lending in China is inevitably going to hit the construction sector first which will have negative implications for copper," said Neil Buxton, managing director for base metals at GFMS. However, Buxton said that the long-term view of tight copper supply continues to hold. Analyst face difficulties in estimating how much copper is left in China because official numbers for the country's inventories aren't public. A recent estimation by Beijing Antaike Information Development, a Chinese-government owned research firm, extended China's destocking period until the fall of 2011. That means those betting on copper mining will have to be more patient. Because July and August tend to be weak months for metals demand, copper is likely to continue seeing sideways movement for the summer. For now, the red metal may not glow as brightly as gold does. But if investors hang in until the end of the year, copper can serve as a modest safe haven.